Awesome that you are pushing yourself and trying new things, Tracey!! How fun is that?! Your sassy corset card will get a squeal for sure. And the black looks amazing on top of your background. Love 'em both! Oh, wow…GORGEOUS cards. Tracey!!! The die cuts look great! 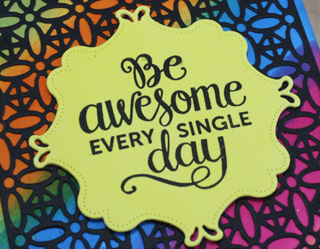 What cool dies & your cards rock! Wow! 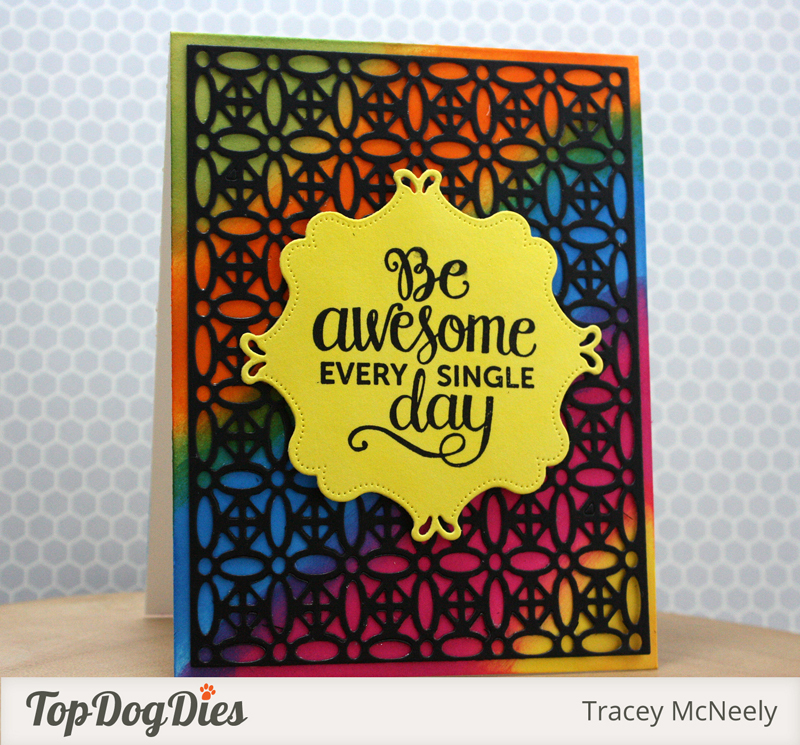 Such fab intricate dies with awesome color...well done! Oooo! Those dies look fantastic! Really lovin' that inked background! These are so good Tracey! Love that corset in purple with the black bow...great idea for the sentiment too! I love your distress ink card...I HAVE got to try some of those...the TDD Floral Lace die is perfect for them! Thanks for the shout out too! You're creating magic with these dies! Yes, that corset card is sure to elicit a squeal - so super fabulous! And your second card: vibrant, pretty, stunning! WOW, WOW and WOW!! WOW! These are both amazing! Love the corset...very fun! And just look at those colors on your second card!! !...Paired with the dies...perfection! Love! Oooohhh your niece will most definitely give a little squeal, this is perfect! And look at you stepping outside of your CAS box with the second card!! Amazing and artsy!! These dies are gorgeous, Tracey, and I love the cards you made with them! The card with the corset is so much fun and your second card looks amazing. I love the background and that large die. The black lacy look is great, both on the corset and on the brightly colored background. It's fun to see someone go out of their comfort zone and try something new. Tracey...both of your cards are amazing. I love the sweet corset card, so perfect for a bridal shower! Love the CAS firs one ...and the colorful background on the second card. You must be sooo busy . Both of these cards are just fantastic, and I love that you are stretching yourself into new areas of creativity. That coverplate die on your second card is just stunning. You have really showcased these dies beautifully, Tracey! I love both cards...your corset is so elegant, and I love the rainbow of colors behind the cover plate! super fun my friend, I love the tie die card!!! !